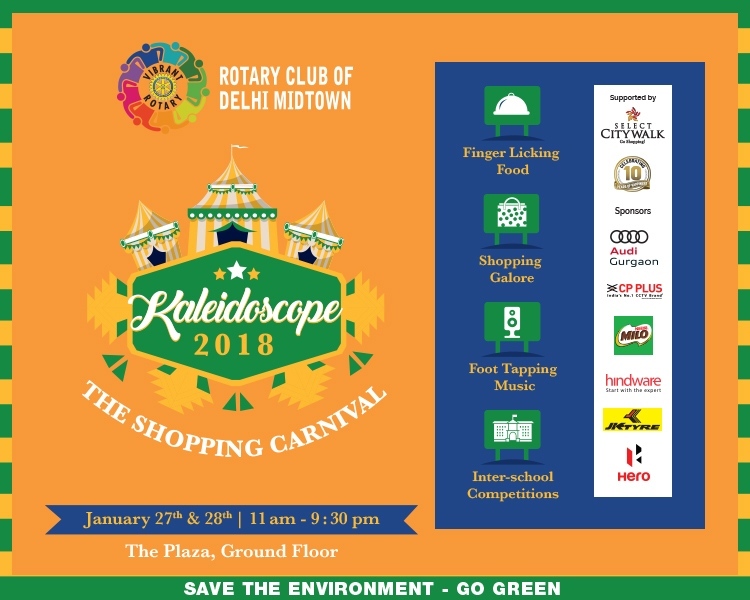 In collaboration with the Rotary Club of Delhi Midtown, Select CITYWALK presents Kaleidoscope, a grand shopping carnival! Walk in at Select CITYWALK this weekend to enjoy finger licking treats, attractive shopping options, melodious music, and inter-school competitions! Let’s make this weekend super fun!